The HL-5470DW is a monochrome laser printer that is ideal for offices or small workgroups. 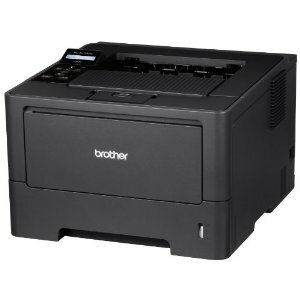 It features reliable, fast printing at up to 40ppm and automatic duplex (two-sided) printing. Users can share the HL-5470DW with others via its built-in wireless 802.11b/g/n or Ethernet interfaces, and wirelessly print from their mobile device via: AirPrint, Google Cloud Print, Brother iPrint&Scan, and Cortado Workplace and Wi-Fi Direct. Plus, it provides flexible paper handling via an adjustable, 250-sheet capacity paper tray and a 50-sheet capacity multi-purpose tray. An optional lower paper tray boosts total input capacity to 800 sheets. For lower running costs, a high-yield 8,000-page toner cartridge is available.